Kenya Airways has decided to offer discount for all delegates traveling for major conferences in Kenya under a new pact signed together with the Kenyatta international conference center over the past week. The company aims to leverage on the rising status of Nairobi as a key conference tourism destination. KQ will mostly be targeting the three-day World Trade Organisation's Ministerial Conference from December 15, which will be a start as it tries to get more business travelers to use their services. 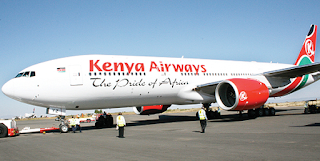 “By increasing the number of tourists coming to Kenya, we will be directly enhancing recovery of the tourism sector and also growing KQ business, which as you know, relies a lot on tourism,” Kenya Airways' managing director Mbuvi Ngunze said. The new deal entered between KICC and KQ last Thursday, as it targets the growing Meetings, Incentives, Conferencing and Events (MICE) sector in the country to increase its cabin factor.